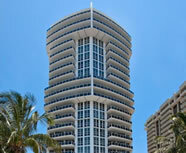 Bal Harbour BuildingsContact Us Now! 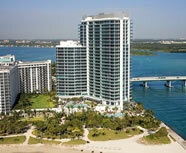 Bal Harbour has its share of of luxury apartment and condo towers. Each building offers more and more luxurious amenities than the last. Built in 2005, the Bellini in Bal Harbour has 200 linear feet of ocean frontage, lushly landscaped gardens and a heated oceanfront pool all for the enjoyment of its residents. One Bal Harbour, a 26-story tower, has 5-star hotel amenities for its residents, that include housekeeping, 24-hour concierge services, fine dining and pet care services. 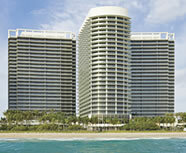 The St. Regis is an ultra-high-end tower that is made up of 268 units. Enjoy porte cochere entrances, 10' ceilings, fireplaces and gourmet kitchens.